Biocat has opened the call for the 2nd edition of CRAASH Barcelona. This 12-week program supports European research teams in successfully launching innovations to market in the fields of medical devices, diagnostics and e-health and digital health to help improve patient care and health. 12-week web-based program with top experts from the sector. Selected teams will be guided by expert mentors from around Europe and CIMIT (Boston), the most experienced accelerator in the world. Opportunity to validate the project in foreign markets through visits to the Medicen (Paris) and YES!Delft (Delft) ecosystems. And then travel to Boston to validate the business model, have personal interviews and participate in networking sessions. The program is free of charge, equity free and offers teams that make it to the corresponding phases up to €10,000 to cover travel expenses. 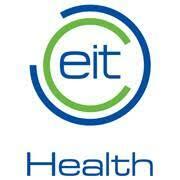 CRAASH Barcelona is a bootcamp program of EIT Health, the main European health consortium, and is organized by Biocat in collaboration with CIMIT. 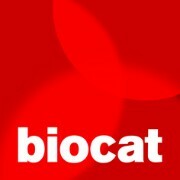 It is one of the flagship programs of Moebio, Biocat's acceleration and innovation initiative. Call open through March 13, 2019. For more information, send an email to CRAASH Barcelona Project Manager at Biocat Judit Pérez (jperez@biocat.cat).